Two exciting new games have been added to the range of Intralot games. Give them a try, if you need assistance with how to play we're here to help or you can find all the information you need on our website. When the big Jackpot draws or Superdraws come up you can now turn to our website for all you need to get a syndicate organised at work or with family and friends. At the end of the financial year and throughout the year, remember we have a range of Taxation forms available for you to simply call in and pick up. In Community Corner you'll find information about the Bentleigh West Primary School Disco Trivia Night. Get in early and book your table for a fun night that will also help the school with their fund raising. 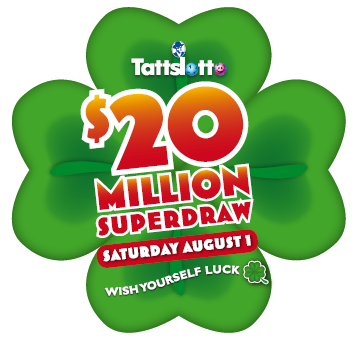 There's more winners, more often with Intralot, The Luck Factory. Now there's two exciting new games to play at Patterson Road Tatts, News & Post. Visit our Intralot page or click the links below for "how to play" guides. 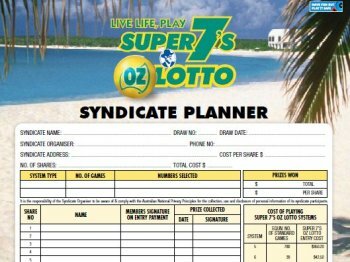 When the big Jackpot draws or Superdraws come around, or even weekly, you may like to organise your own syndicate at work or with family and friends. Bentleigh West Primary School is having a Disco Trivia Night on Saturday 25th July. Lots of trivia, games, prizes, mystery envelopes, raffle and freebies, come along for a fun night out! Get together your table of 10. Make sure you bring plenty of gold coins to join in with the games! There will be a prize for the best decorated Disco table!